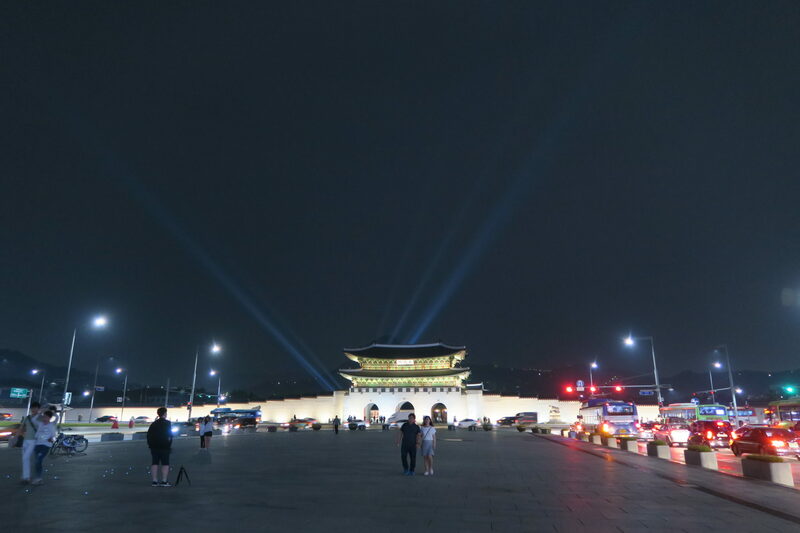 Gwanghamun means “may the light of enlightenment blanket the world”. Founded in 1395, it symbolizes the creation of the Joseon Dynasty. However, much like Gyeongbokgung palace, it too has been demolished more than once. You would think the memory would be lost forever. But not quite. Maybe symbolic of the resilience of the nation of Korea, this gate has been rebuilt time and again. Today, it is the most beautiful of the five palace gates. 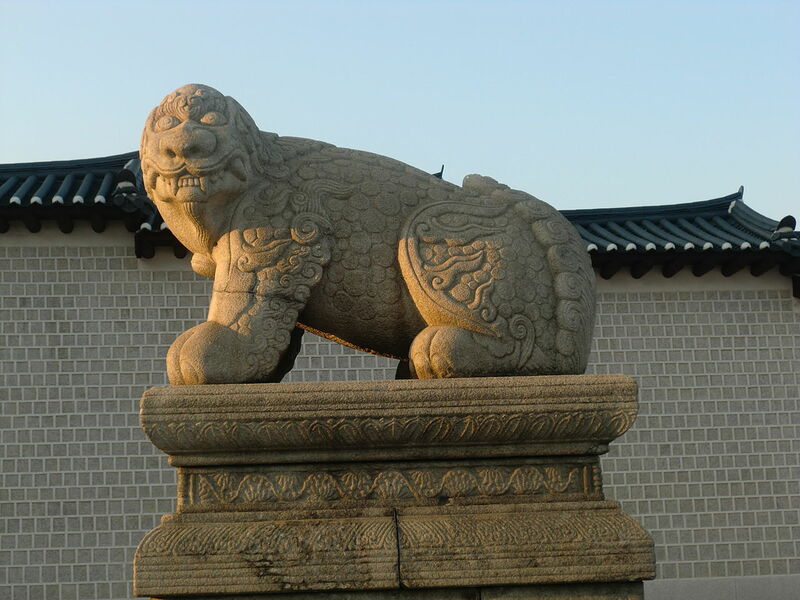 However, because it is made of concrete, it was not designated by the Korean government as a National Treasure. But I think it looks absolutely great! 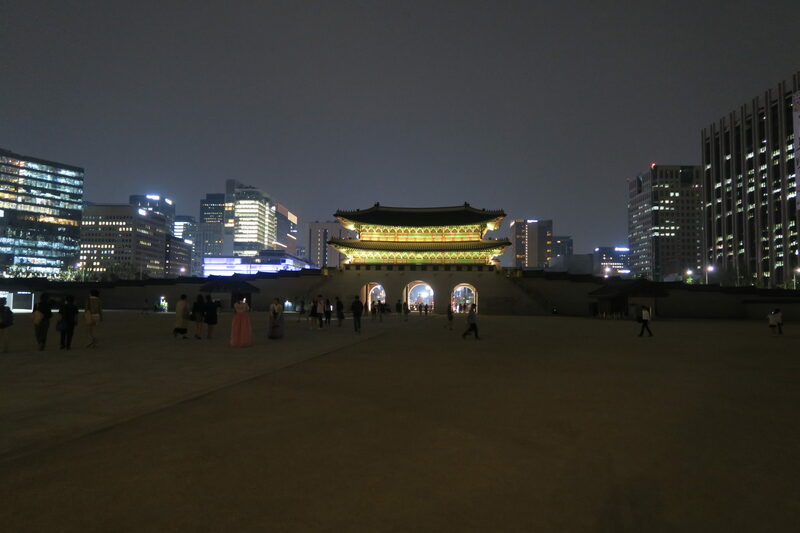 Furthermore, when you see it from inside the palace grounds, the Seoul city skyline juxtaposed against it seems so surreal. The old and new in one shot. Outside the gate, it is an awfully busy three way intersection. Taking photos here means you have to contend with the heavy traffic, so do be careful! Finally, I should say that I only scratched the surface of this grand palace. There is lots to do here. 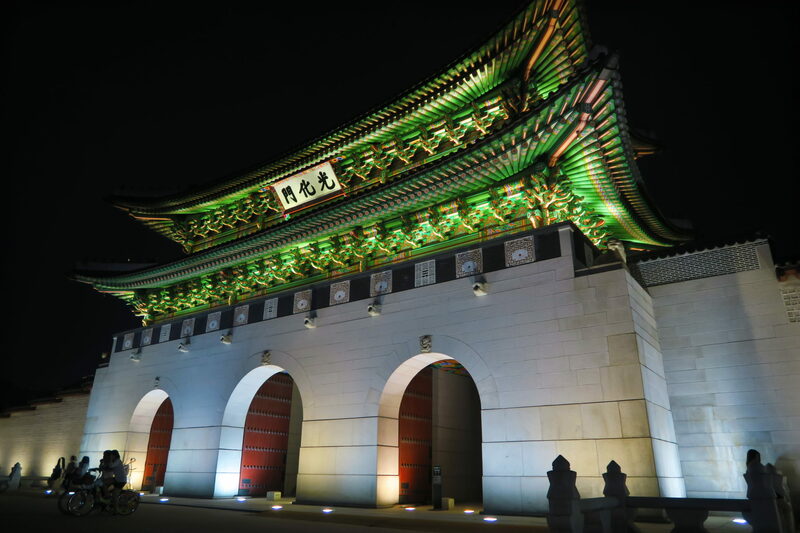 In addition to the very festive changing of the guard ceremony (voted by visitors as the third best thing to do in Seoul), the grounds also houses the National Folk Museum and the National Palace Museum of Korea. This will certainly be first on my agenda when I next visit.